Kitchens Direct NI was established 10 years ago and we are located in Templepatrick, our team of experts have extensive experience in the Designing and Installation of Built to Order Kitchens, Bedrooms and Bathrooms in Belfast and throughout Northern Ireland. We provide a written warranty on every Kitchen, Bedroom and Bathroom. We pride ourselves in giving a personal service, and offering our customers quality and service at a great price and as a result, most of our business is from repeat customers and referrals. As a thank you we have a customer Referral Reward Scheme. As all the Units for our Kitchens, Bedrooms and Bathrooms are Manufactured on our premises by Hand at Templepatrick in County Antrim, we know the quality of the products used and we can take you from Design to Completed Installation within 4 weeks. We work hard to source our Kitchen and Bedroom Doors, Worktops, Handles, Accessories’ Electrical Appliances and Bathroom Suites through local manufacturers and distributors where possible and so support Local Companies while ensuring our customers get the best quality at the best price. 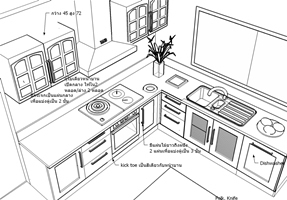 We have a team of expert and reliable Kitchen Fitters, Electricians, Plumbers and Tilers who work together to ensure the installation of your Kitchen is carried out efficiently and everything is Managed by your dedicated Installations Manager who ensures all our Tradesmen arrive on time to complete your Kitchen, Bedroom or Bathroom with the least amount of disruption. With no expensive High Street Showroom costs to pass on to our customers we provide Quality Designer Kitchens, Bedrooms and Bathrooms for Less. To ensure you speak to the right person we have an Appointments Only system for Sales and Design. 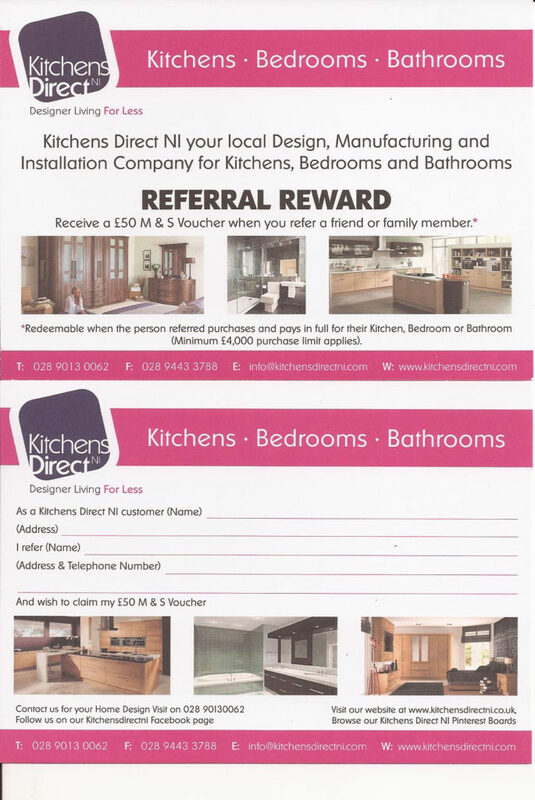 Kitchens Direct NI are a limited company and are only located in Templepatrick, we have no other branches.